If any one is caught by police officials or any other law enforcing agency and whether an FIR is registered or not you can contact the best criminal case lawyer in Lahore Pakistan we will get you bail and appear in your trial. 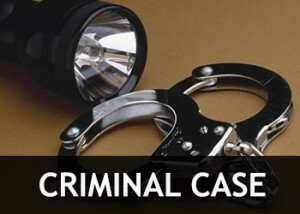 Both the accused and the complainant can contact Nazia Law Associates for the best criminal litigation services as we have the best criminal case lawyer in Lahore and our legal team is the best in Pakistan. If an FIR is registered and the accused is not caught by the police when then also you can contact Nazia Law Associates as we can get you a pre arrest bail from the court also.